Here at Life Church, we love our community and more specifically we love all of our kids! 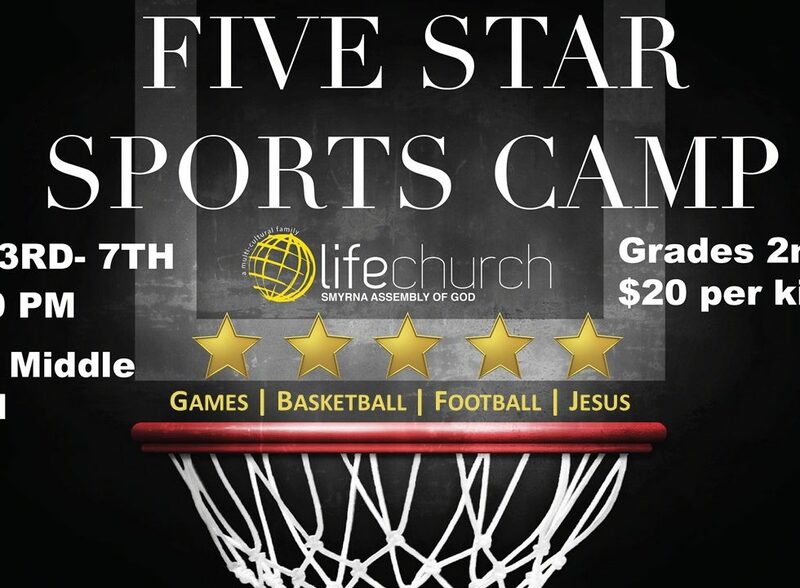 We want to bring you a camp that will bring out the best in you athletically but also the best in you spiritually. This camp is going to be full of games, basketball & football. Then at the end of each night we will spend some time learning about Jesus. You do not want to let your child miss this life-altering camp! Registration is $20 per child. We serve a living Savior! 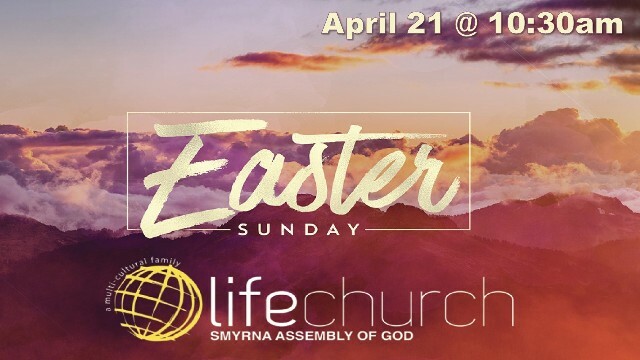 We want to personally invite you and your family to Easter at Life Church Smyrna! We have something for you and the whole family! In fact, after service, we are dropping FIVE THOUSAND candy filled Easter Eggs for your children! There will even be a Basket Give Away for an adult during the 10:30am service! Powerful worship, relevant message, and a welcoming community. We hope to see you there! Easter is April 21st. We need bags of individually wrapped candy for the Annual Fire Truck Egg Drop. The candy will be dropped with the eggs from the fire truck! Please pick up a bag or two the next time you are at the store. You can drop your candy in the decorated box in the foyer or you may want to donate through an offering (mark the envelope “Easter candy”) and we’ll pick up the candy for you. 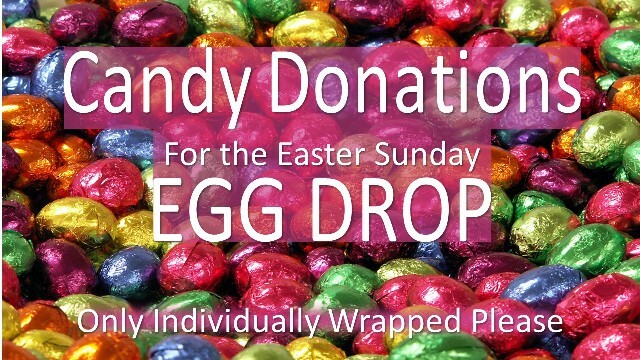 When giving online, use the “Easter Egg Drop Candy Donation” Category. Click HERE to donate now. We will be receiving our annual “30 Pieces of Silver” offering on Sunday, April 14 at 10:30am. This offering represents the price Judas received to betray Jesus. 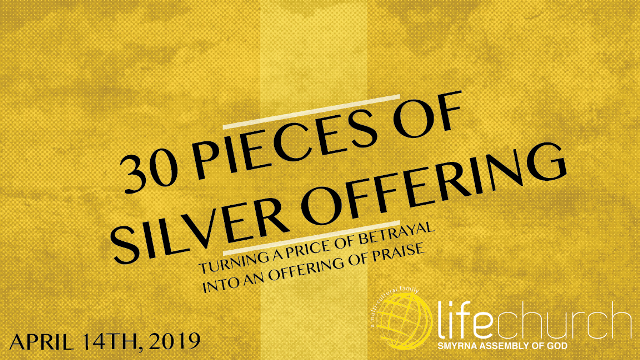 By giving in this offering, we symbolically turn the “price of betrayal into an offering of love.” All proceeds will go toward Speed-the-Light & BGMC which provide vehicles and communication equipment to missionaries. We are asking each family to present an offering equivalent to 30 pieces of silver for each member of your family. Children can bring 30 dimes, adults can bring 30 quarters or 30 dollars. You may write a check for one amount for your family or bring each person’s bag individually. Small bags to collect your coins in are available in the foyer. On Palm Sunday, 4.14 we will present our offerings during the 10:30 service. Thanks for your generosity! Come celebrate the resurrection with us! All children present will participate in a finale song of celebration (children thru 5th grade). 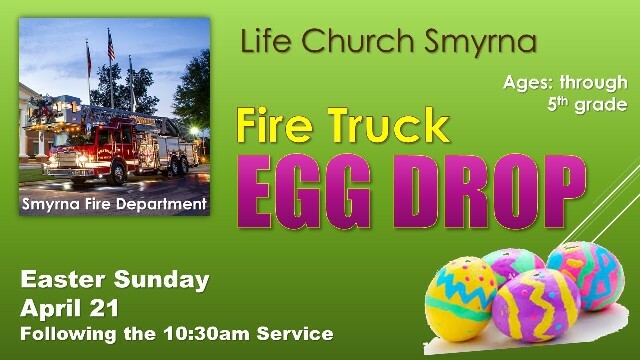 Following the 10:30am service, we’ll be dropping eggs and candy with the help of our friends from the Smyrna Fire Department. Come watch the eggs fall from the Fire Truck boom! Bring your Easter basket to collect as many eggs and as much candy as you can! Have you ever stopped to think about the fact that nothing in this life lasts forever? Does that thought leave you feeling overwhelmed? The good news is that the Bible has a lot to say that can give you the confidence you need to face whatever the future may bring. 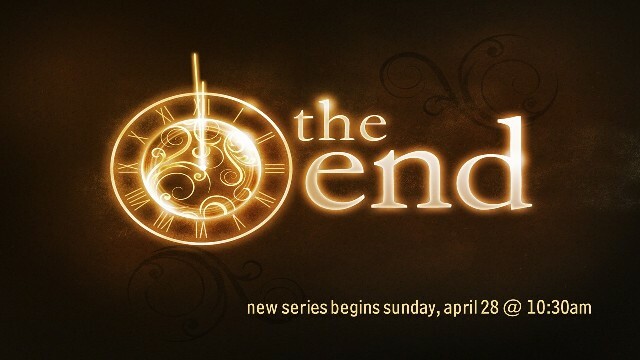 Pastor Osbon will begin a new series on Sunday, April 28 entitled “The End” and you don’t want to miss a single message! Some things only come through prayer and fasting! 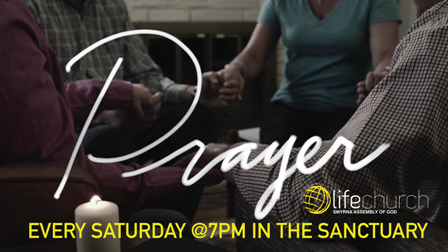 Each Saturday night we want to invite you and your family to spend some time in prayer with us! We’re praying that God will continue to pour out His spirit each time we meet! This is a new season! 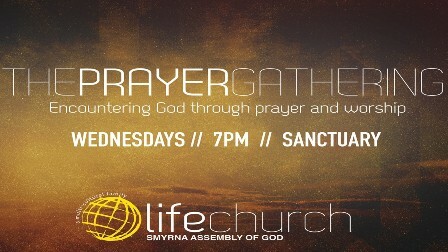 See you on Saturdays at 7pm in the Sanctuary!